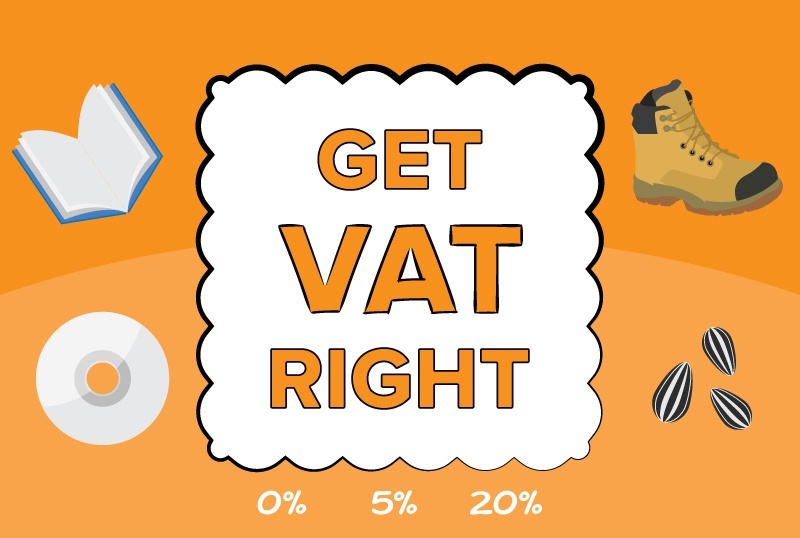 Getting VAT correct is essential for all retail businesses. For many types of business, VAT is straightforward but for others it can be more complex. That is because on some products VAT isn’t fixed at the same rate across the board. There are some products where different rates of VAT need to be considered. It could be as simple as children’s clothes or shoes, which are zero rated while adults pay the standard 20 percent rate. But in other retail sectors, the exact same product – for example, a stair lift – can attract three different rates of VAT, but more of that later. For retailers who have to deal with complex rates of VAT across their product lines, it makes sense to get retail VAT calculations right by integrating them into an EPOS system. Once this is done, VAT is calculated automatically, meaning that transactions can be completed swiftly and accurately. CSY has extensive experience supporting customers who have complex retail VAT calculations. Our Vector EPOS system is perfect for handling these. There are three main rates of VAT that apply to retail goods. Standard rate – the majority of retail goods are charged at the standard rate of VAT, currently 20 percent. Reduced rate – typically this is 5 percent. Items always charged at the reduced rate include children’s car seats and domestic fuel and power. Zero rate – as this suggests, no VAT is paid by the customer on zero-rated items, which includes most foods, children’s clothing, books and newspapers. The retailer must still log these and report them on their VAT return. It gets more complicated depending on the specifics of the sale. The Government has a list of VAT rate conditions, which can change the rate for any given item based on how it is sold or who is buying it. Here are just some of the retail sectors affected by complex VAT calculations. This list is by no means exhaustive, so if you want to know more about using an EPOS system to get retail VAT calculations right, please phone us on 0115 948 4848 or request a call back. Sometimes, VAT can vary depending on who is buying the item. As we said before, mobility aids can be subject to three different rates – setting these up on EPOS saves time and makes sure transactions are charged correctly. People with a disability or a long-term illness don’t pay VAT on any products designed or adapted for their personal or domestic use, so items like stair lifts and mobility scooters are zero-rated for them. Some mobility aids in the home for older people, including stair lifts, are charged at the reduced VAT rate of 5 percent. However, if a business such as a care home is buying these items, they must be charged the full 20 percent and can reclaim it later. We help customers to configure the Vector EPOS system to prompt store assistants to choose the correct option at the till. A similar issue affects Personal Protective Equipment (PPE) and workwear items like safety boots. These are zero-rated if bought by the individual for industrial use but if PPE and workwear is purchased by the business, it will need to pay the VAT and reclaim it. With so many varieties of plant available in garden centres, it’s no surprise that some are edible. Fruit and vegetable plants, including nasturtiums, are zero-rated. The same goes for edible seeds such as sunflower seeds – but not always, as it depends on the intent. If the seeds are packaged or promoted as wild bird food, the product is no longer zero-rated and reverts to the standard rate. That means it’s a good idea to run all stock through an EPOS system, which will automatically calculate the right rate on each product. Sometimes, calculating VAT is even more complicated. If a product contains a combination of standard VAT and zero-rated items. Gifts are a common problem area. Take a book that comes with a CD, or a children’s colouring book supplied with felt-tip pens. The book is zero-rated, however standard rate VAT is applied to the other element. There is no set rule to work out how to apply composite VAT, often leaving it to the retailer’s discretion to decide what proportion of the total cost should be chargeable. Once that figure is decided, EPOS is the easiest way to make sure that the correct amount is billed to customers. Whatever the retail business, EPOS takes away the pain of calculating VAT at the point of sale. We understand the complexity of VAT rates and will work with you to make sure that the right information is integrated into Vector EPOS, to help with fast, accurate pricing for customers. For more information on the different rates of VAT, visit: https://www.gov.uk/guidance/rates-of-vat-on-different-goods-and-services.